24.7 billions of additional production with an increase in value added estimated in € 10.5 billion and 199,000 people employed directly or indirectly (additional annual work units). 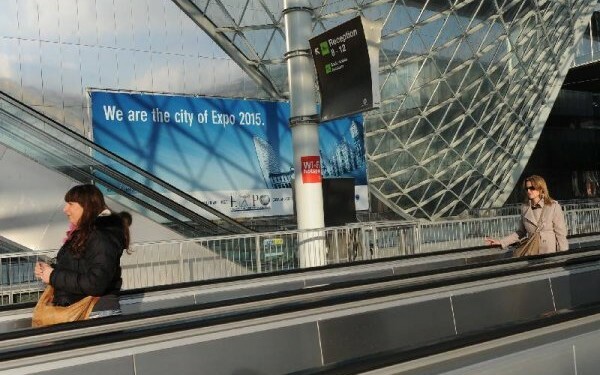 This is the induced economic Expo 2015 will produce in Milan and in Italy, from 2012 to 2020, between investment of the management company and the participating countries (excluding infrastructure projects), increased sales, incoming tourism and economic legacy that the event will leave in terms of new jobs created, developing property assets and a growing touristic appeal of the area. The tourist flows will receive the biggest impact from Expo (additional production of 9.4 billion, 4 billion in added value and about 80,000 jobs, plus 10,000 units of work as a long-term effect for the tourism sector), but the effects on the business system will be seen also in the start-ups (1.7 billion of additional production and 12,400 employees) and the increase of foreign direct investment (16,500 employees, € 1 billion of value added). 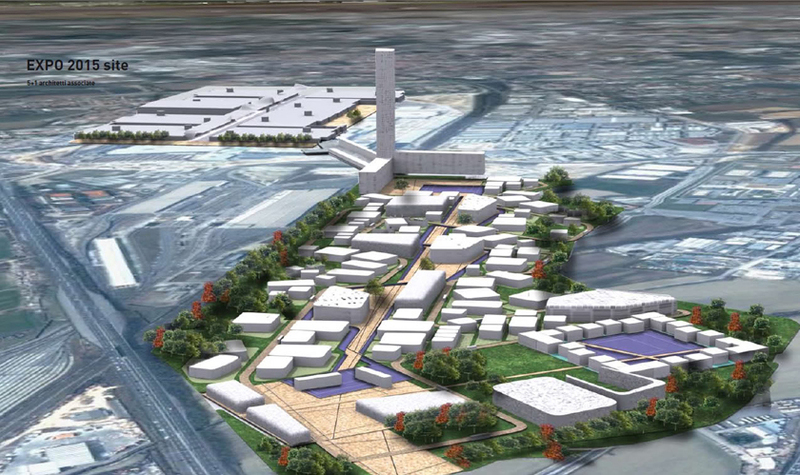 There will be benefits for the real estate assets (Additional production of 1.1 billion Euros and more than 8,000 jobs) between investments linked to the Expo site and the revaluation of value of properties in the Milan area. 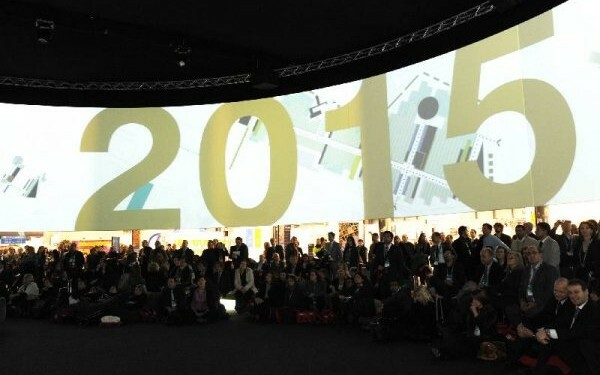 These are the most relevant results emerged from a study on the direct economic impact and the legacy of the Expo Milano 2015event, commissioned by the Chamber of Commerce and the Expo 2015 Company and lead by a team of economic analysts coordinated by Alberto Dell’Acqua, professor at the SDA Bocconi School of Management. 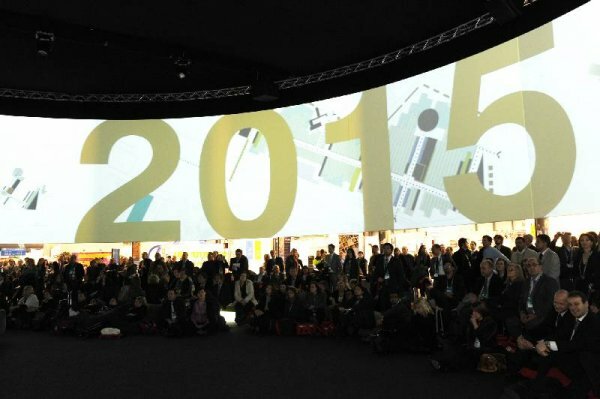 The project led to the creation of a model for estimating the economic impact of Expo Milano 2015, starting in 2012 and projected up to the year 2020, which will be made available to the BIE for the economic evaluation of the impact of the World Expositions. 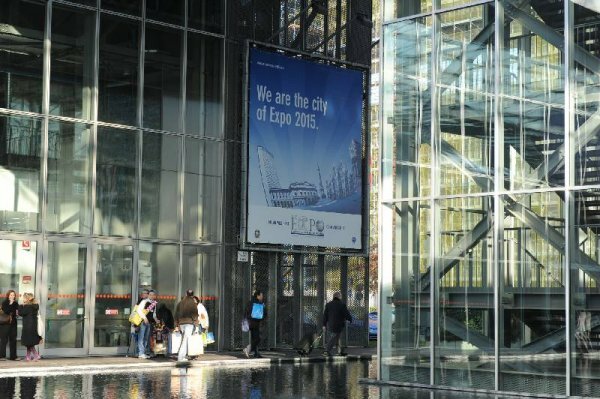 “The data show – said Carlo Sangalli, president of the Chamber of Commerce of Milan – that Expo will be a driving force for growth able to give an important turning point for our economy. This is the reason why we must believe in this project in spite of this great crisis. As the Chamber of Commerce we are actively involving the business community to show a new interest in the appointment closer with the World Expo. Enterprises will be the engine for the event, but we need to make it work well, starting now, with a constructive effort and team spirit by all the parts involved and among the institutions”. 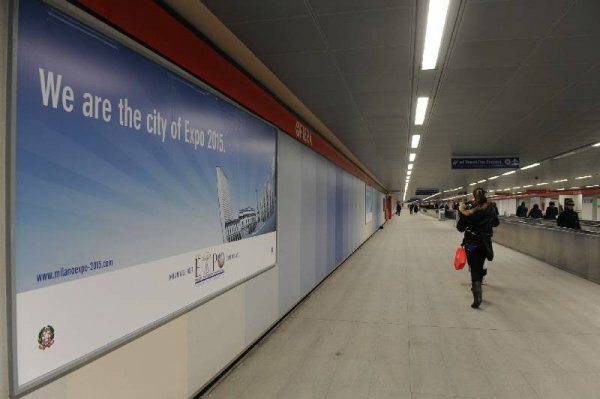 “The numbers of this research – explained Giuseppe Sala, CEO of the Expo 2015 Company – represent an injection of enthusiasm and optimism for the entire Italian system. 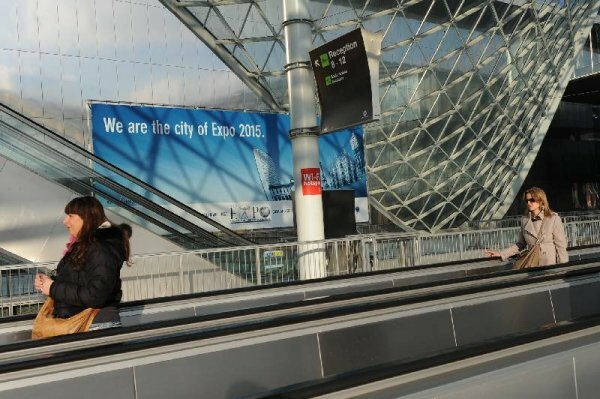 In a difficult period of global economic crisis, is acknowledged that Expo Milano 2015 could have the decisive task to give life to the Italian Enterprises sector. 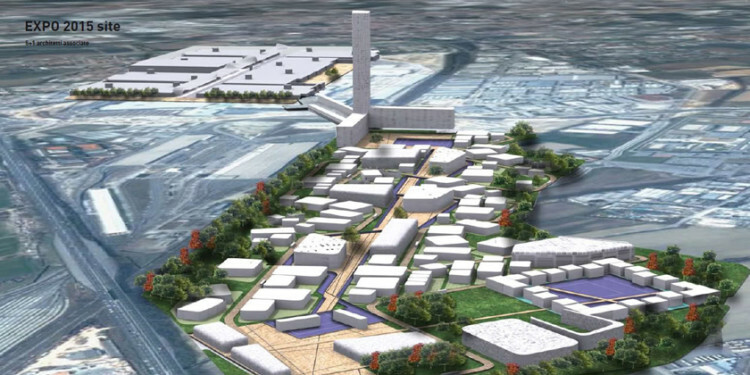 The study deals with 25 billion Euros of additional production, in relation to which will be employed 200,000 people. This is the possible economic impact created by the World Expo in all Italy, until 2020. The event we are organizing will not end with the closing of the gates on October 31st, 2015. The positive impact will last in all sectors of production for years to come. It is crucial that local and national institutions invest resources, energy and ideas in this project. There is a lot at stake: the image of our country in the world, an incentive to get out of the stalemate we are living now, and the opportunity to move our economy towards a new step”. 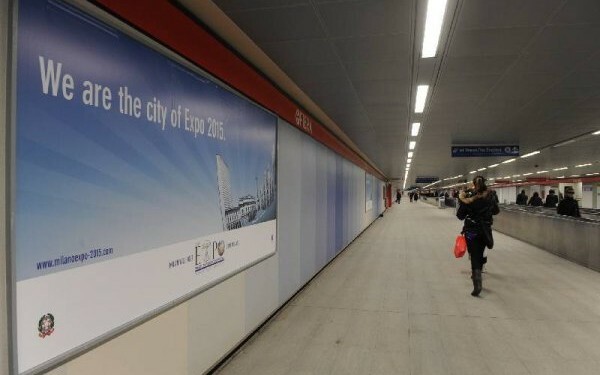 “I am sure that the Expo will be the first major event after the crisis – stated Diana Bracco, President of the Expo 2015 Company and General Commissioner for Padiglione Italia (the Italian Pavilion) – a key factor in the revival of Italy’s image in the world and an important opportunity to support tourism and the growth of Italian manufactures in markets are set to become the drivers of development. The Expo, and the Italian Pavilion in particular, the implementation of which is my responsibility since a few months ago, will be an extraordinary showcase for the many small and medium enterprises which will benefit from the international stage to promote their excellence. During the six-month of the World Expo we expect more than 100 Heads of State, official delegations, trade missions and B2B meetings. The Italian Pavilion will be an outstanding platform for international relations and a powerful communication tool to promote our Made in Italy, our culinary tradition and the Italian unique cultural heritage and landscapes”. Throughout the meeting, be held at Triennale di Milano, Diana Bracco, General Commissioner for the Italian Pavilion, will show the concept at the base of the contest for the design of Padiglione Italia at Expo Milano. A space which will extend along the main axe, Cardo, and will offer an emotional travel through Italy, combining past and future of the Country and its territories. 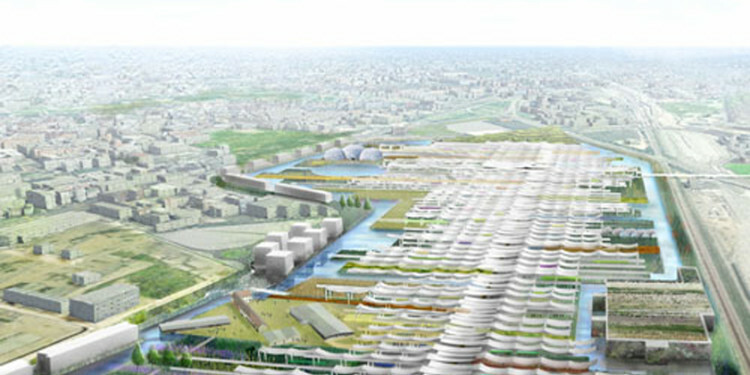 The concept of Padiglione Italia of Expo Milano 2015 will be presented Tuesday 20th November 2012 at 17 throughout the workshop “Disegnare l’Italia”, be held at Triennale di Milano. The meeting will be opened by Robert Formigoni, General Commissioner for Expo Milano 2015, Giuliano Pisapia, Special Commissioner for Italian Government for Expo Milano 2015, Paolo Peluffo, Undersecretary to the Presidency of the Council of Ministers, Claudio De Albertis, President of Triennale. The event will see the participation of Giuseppe Sala, CEO of Expo 2015 SpA, Diana Bracco, General Commissioner of Padiglione Italia and President of Expo 2015 SpA, and Marco Balich. The Italian creative mind, considered one of the most important event organizer all over the world, took up the challenge to develop the concept for Padiglione Italia in order to decline the Expo theme “Feeding the Planet, Energy for Life”. “We decided to launch a contest, European wide, for the design of Italian Pavilion, situated along Cardo”, stated Diana Bracco, “that’s why we organized this meeting to tell to the Country the concept at the base of the contest. We intend to offer high quality contents to touch visitors”. According to Commissioner, Italian Pavilion will be a place which will offer to visitors an emotional journey through Italy. It is the only place able to sum up history, values, products and technological excellences. It is the Country that boasts an extraordinary artistic, landscape, culinary treasure of different and unique territorial traditions that are part of the Italian style, appreciated worldwide. 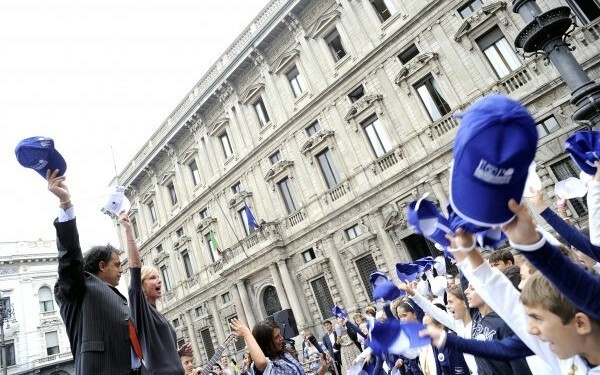 “That’s why – added Mrs. Bracco – we intend that our Pavillion, developed along Cardo, will be a showcase of Italy System and, at the same time, a bridge between Italian excellences and those of the rest of the world. The greatest events looked after by Marco Balich throughout the years in Italy and abroad, are distinguished by combining values and contents with emotions and feelings. For his great communication skills, I believe he is the right person to fulfill this task”. Marco Balich is proud of the appointment: “I’m glad that my ideas will be the cue for the design of Padiglione Italia. 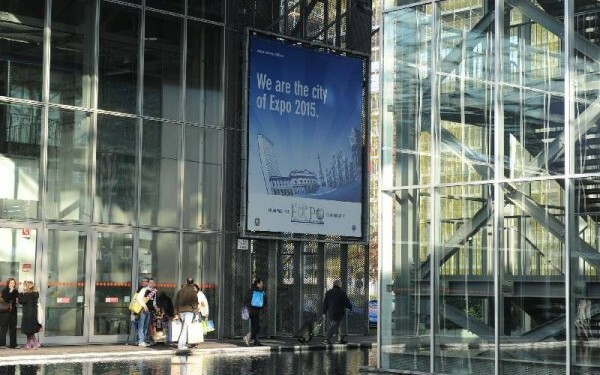 I’m thankful to Diana Bracco and Expo 2015 for trusting me. 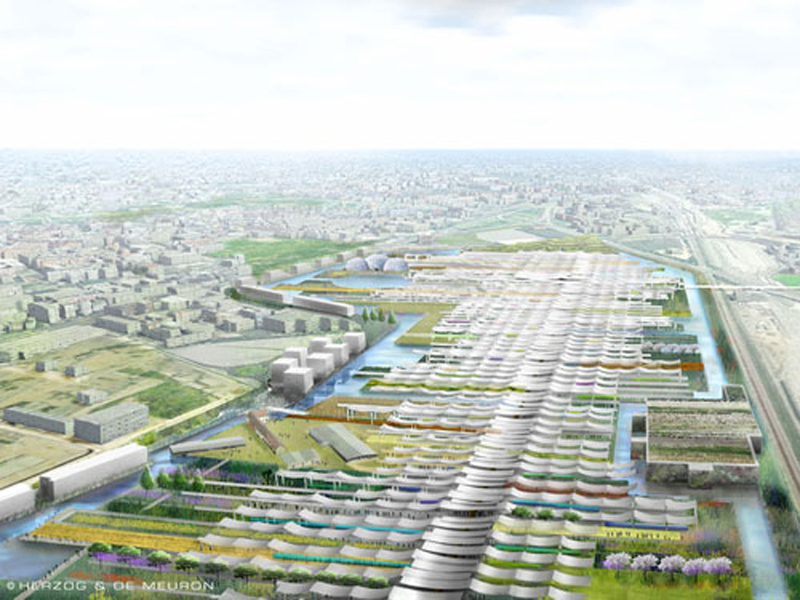 I’m hopeful that Expo Milano 2015 will be the signal of the Italian change worldwide. Italian Pavillion will be an exclusive showcase of Italy in occasion of a unique occasion of development and dialogue with the rest of the world”. Marco Balich is one of the most important names in the organization of events and Olympics opening ceremonies (Master of Cerimonies) worldwide. At the end of 2011, he won the international contest for the organization of Rio 2016 Olympics. His career started in 2002 as Flag Handover Project Leader for the closing ceremony in Salt Lake City and in 2006 he became Creative Director and Executive Producer of Olympics Ceremonies in Turin, thanks to which he won two Emmy Awards. Il concept del Padiglione Italia di Expo Milano 2015 sarà presentato martedì 20 novembre 2012 alle ore 17.00 presso il Palazzo della Triennale di Milano nel corso del Workshop “Disegnare l’Italia”. L’incontro sarà aperto dai saluti istituzionali di Roberto Formigoni, Commissario Generale per Expo Milano 2015, Giuliano Pisapia, Commissario Straordinario per Expo Milano 2015, Paolo Peluffo, Sottosegretario alla Presidenza del Consiglio dei Ministri e Claudio De Albertis, Presidente della Triennale. Seguiranno gli interventi di Giuseppe Sala, Amministratore Delegato di Expo 2015 S.p.A., Diana Bracco, Commissario Generale di Sezione per il Padiglione Italia e Presidente di Expo 2015 S.p.A., e Marco Balich. Il creativo italiano, considerato una delle figure più importanti a livello mondiale nella produzione di grandi eventi, ha accettato infatti di sviluppare il concept del Padiglione Italia che dovrà declinare il tema dell’Expo 2015 “Nutrire il Pianeta, Energia per la vita”. “Abbiamo deciso di lanciare entro novembre una Gara europea per la progettazione preliminare, definitiva ed esecutiva del Padiglione Italia che si svilupperà lungo il Cardo”, afferma Diana Bracco, “e per questo abbiamo organizzato un evento pubblico per raccontare all’intero Paese il concept che sarà alla base di questa prima importantissima gara. 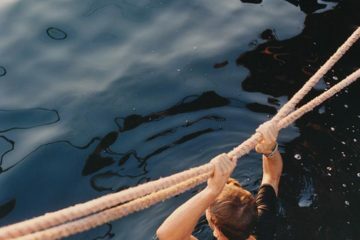 Il nostro compito è proporre contenuti di alta qualità che sappiano comunicare ed emozionare”. Nelle intenzioni del Commissario il Padiglione Italia dovrà essere infatti un vero e proprio luogo-icona capace di offrire, in ambito internazionale, l’emozione di un viaggio dentro l’Italia migliore. Un Paese unico che ha saputo sintetizzare storia, valori, prodotti, eccellenze tecnologiche. Un Paese che vanta uno straordinario tesoro artistico, paesaggistico, enogastronomico fatto di tante tradizioni territoriali che nella loro variegata unicità compongono il ricchissimo mosaico dello stile di vita italiano apprezzato in tutto il mondo. “Per questo”, continua Diana Bracco, “vogliamo che il nostro Padiglione, che si svilupperà su tutto il Cardo, sia al tempo stesso una vetrina del Sistema Italia e un ponte tra le eccellenze italiane e quelle del resto del mondo. I grandi eventi curati da Marco Balich in tanti anni in Italia e all’estero hanno sempre avuto la caratteristica di coniugare valori e contenuti alti con emozioni coinvolgenti per tutti. Per questo e per la sua grande capacità comunicativa credo che sia la persona giusta”. Marco Balich è una delle figure più importanti a livello mondiale nella produzione di grandi eventi e cerimonie olimpiche (Master of Cerimonies). A fine 2011 Balich ha vinto la gara internazionale per la produzione esecutiva delle cerimonie dei Giochi di Rio 2016. Il suo percorso olimpico è iniziato nel 2002 come Project Leader del Flag Handover della cerimonia di chiusura di Salt Lake City e si è consolidato nel 2006 diventando Direttore Creativo ed Executive Producer delle cerimonie olimpiche di Torino, per le quali ha vinto due Emmy Awards.